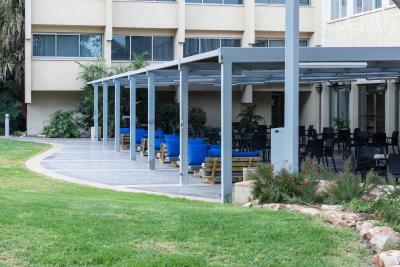 Lock in a great price for Lavi Kibbutz Hotel – rated 8.3 by recent guests! The food was plentiful and very tasty. The room was comfortable with a nice porch. Very clean, very comfortable rooms. Kosher buffet dinner and breakfast, of average quality. Great location to hike the Jesus Trail or the Horns of Hattin. Nice to have a full bathtub while on a hiking trip. If you are an Orthodox Jew, this is probably a very great choice, as they have many facilities geared specifically for you & the buffets are kosher. Everything was perfect in every way. 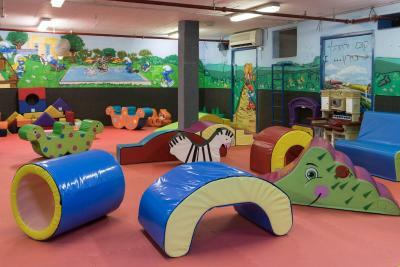 Staff was great, especially Zvi and Mordechai. Great meals! 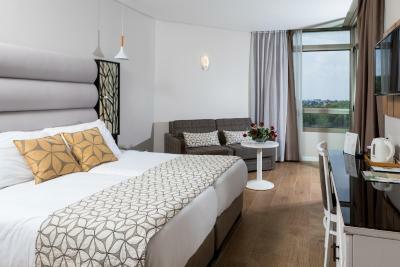 Comfortable rooms and beds; nice public spaces and grounds! Amazing breakfast, located in beautiful kibbutz, staff very kind ,friendly, and helpful! I'd definitely come again! I loved how accommodating the staff are. They upgraded me to a beautiful room! The food was amazing, the atmosphere was warm and friendly and, as a bonus, there was lots fo interesting thing to explore on the grounds. 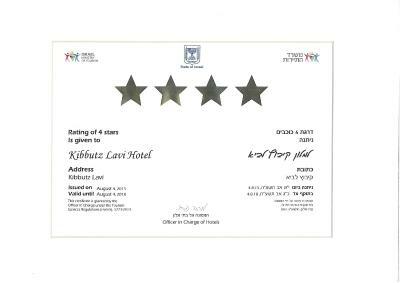 Lavi Kibbutz Hotel This rating is a reflection of how the property compares to the industry standard when it comes to price, facilities and services available. It's based on a self-evaluation by the property. Use this rating to help choose your stay! This property is also rated for the best value in Lavi! Guests are getting more for their money when compared to other properties in this city. 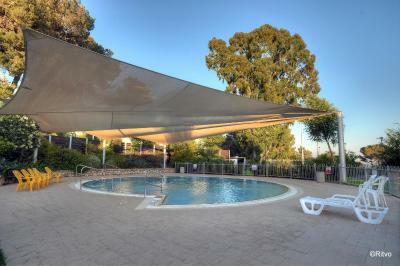 When would you like to stay at Lavi Kibbutz Hotel? 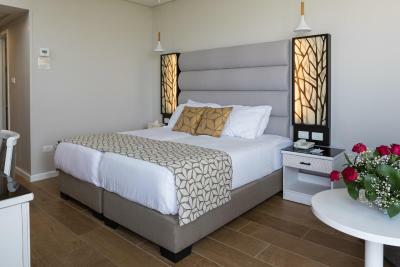 Simply furnished room with a private bathroom, LCD TV and air conditioning. This air-conditioned room has carpeted floors and an LCD TV. 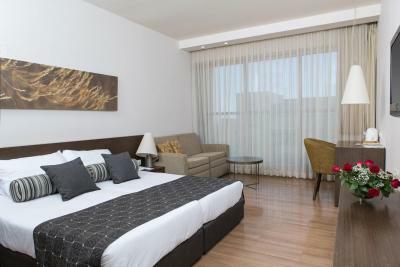 Spacious and modern, this air-conditioned room has hardwood floors and an LCD TV. This air-conditioned room has carpeted floors and an LCD TV. It includes a private bathroom with a bathtub and free toiletries. This air-conditioned room has carpeted floors and an LCD TV. It includes a private bathroom with a bathtub and free toiletries. 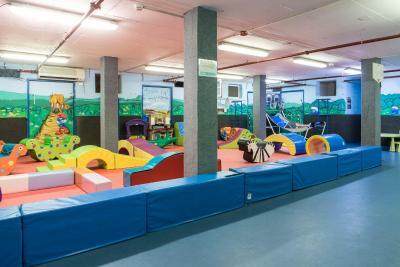 This family room is intended for 2 adults and up to 2 children aged 18 years old and under. Four adults are not allowed to share this room. This twin/double room has a seating area, air conditioning and electric kettle. 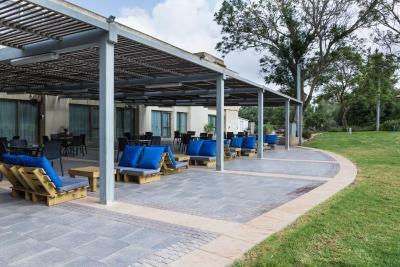 House Rules Lavi Kibbutz Hotel takes special requests – add in the next step! All children under 2 years are charged ILS 34.59 per person per night in a crib. Lavi Kibbutz Hotel accepts these cards and reserves the right to temporarily hold an amount prior to arrival. During Passover, the rates include half-board. Seven days before arrival, the hotel will charge the full amount of the stay using the credit card provided. In case of late cancellation or no-show, the credit card will be refunded with the full amount after deducting the one-night cancellation fee. people super kind and good approach to the culture. I tried very hard to think of something to write in this box but this is all I came up with. The staff were very friendly and helpful. The scenery was beautiful. Meals (dinner and breakfast) were very enjoyable - we were happy to be able to stay at breakfast until 10:30am. The 'shuttle service' down to the main road was unexpected and a very pleasant surprise! Being allowed to take a book home from the service room lends an unprecedented customer-service element to your hotel. The room was unclean, the linens were torn, the bathtub was stained and dirty. The walls were cracked. The food was good. The staff was nice. Incredible kibbutz. Fantastic service. Beautiful scenery. We found it a little bit too cold in the rooms ,otherwise it was terrific! Everything! This is the ideal place to be!!! Nice room, very good and varied dinner, even for vegetarians. Our room was old. The curtains were ripped. Our accommodations were pretty lousy. A room closer to the dinning room.